Is your conservatory too hot during the summer? Solar window films can help to regular the internal temperature in your home by reducing the transmission of heat in & out of the glass. Is the sun glaring on the TV screen? A solar window film can greatly reduce glare, making TV viewing much more comfortable during sunny days. Do you worry about sunlight fading your furniture? Solar window films can reduce UV rays penetrating your window by 99%, greatly reducing fade/bleaching on furniture, carpets, wooden floors and other decoration. Can your neighbors look into your property too easily? Increase privacy by adding a tinted or reflective finish with a window film install. With the UK’s unpredictable weather introducing consistent natural light into the home has always been difficult, because of this many modern houses an extensions are now build with extra features intended to allow as much daylight in as possible. Orangeries, conservatories, french windows, bi-fold doors, skylights and patio doors help to illuminate your home with sunlight however these additional features can cause unforeseen issues. Furniture and decor can prematurely fade due to UV rays and overlooking neighbors can see into your home much more easily. These 2 negatives can be solved without hindering their positive effect by installing solar window film. Reduce Heat & Glare. Making the room space more comfortable to be in. Eliminate 99% UV rays that cause the majority of fade to furniture and decor. Average out room temperatures, decreasing the demand on air conditioning in the summer and central heating in the winter. Add privacy with a darker tint or reflective finish. Window tint films are a perfect alternative to installing window blinds or curtains as they cause much less disruption to fit, they don’t need any maintenance, they can be cleaned like normal windows and they don’t need to be opened & closed as they are continually working. Also the view from inside of the solar film windows will not be obscured, only showing a subtle tint, so no reduction in the satisfaction obtained from your view. 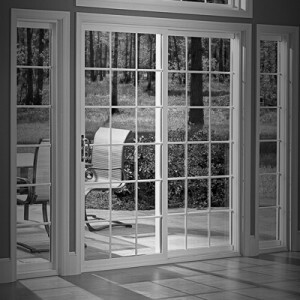 An additional bonus solar window films offer is there ability to work as safety glass. The films contain very strong adhesives so if the window is smashed the glue in the film keeps the shattered glass fragments together in one sheet. This makes the glass much less dangerous, harder to penetrate and easier to clean up after an accident or break-in. Manchester Tints installation team have experience fitting all ranges of window films across the UK. We specialise in fitting of window films across the North West however larger projects can be taken throughout the UK.